Mention the term “second home” to a dozen people and half will probably tell you that it is also an “investment home.” That’s because many second homes are actually investment properties that owners rent out a majority of the year. Others see a second home for family only, maybe a place for close friends, but not renters. It turned out that the owner “was told by an adviser” that a tax-deferred exchange was permissible because he had purchased the home with the idea that it would eventually appreciate. Because it did appreciate, that constituted “an investment” property. 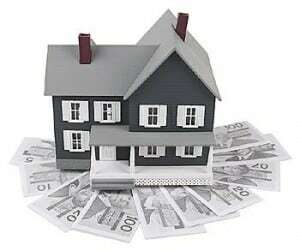 Strict personal-use rules of the investment property as a “second home” still apply. The period of the taxpayer’s personal use of the dwelling unit cannot exceed the greater of 14 days or 10 percent of the number of days during the 12-month period that the dwelling unit is rented at a fair market value. Some clarity regarding tax-free exchanges did come out of the Moore case. The IRS basically stated that it recognized owners do take personal-use days in their investment properties. The IRS said it would provide a “safe harbor” to a tax-free exchange as long as other exchange rules are met. Before the Moore case, there was no personal-use language in any exchange material. So, take your pick and label your getaway a second home or an investment property. You can also hope they “appreciate,” but be careful how you apply the term. See Tom Kelly’s feature What To Expect at a Real Estate Auction.